Psych News Alert: Job Hunting? Have a Job to Fill? 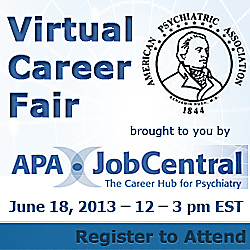 Don't Miss APA's Virtual Career Fair!